Although I have long family connections with the First King Alfred’s scout troop in Wantage, this was the first time I had visited wearing my archaeologist’s hat. They were a lively bunch after a long school day and I began by asking who watched Time Team and talking about archaeological sites they had visited. We also looked at some of the geophysics surveys from Trendles and other fields between Wantage and Marcham, which revealed just how many Iron Age and Roman settlements once lay in this area. We then looked at some of the pottery that had been found in local gardens and woods, and animal bones found during excavations. 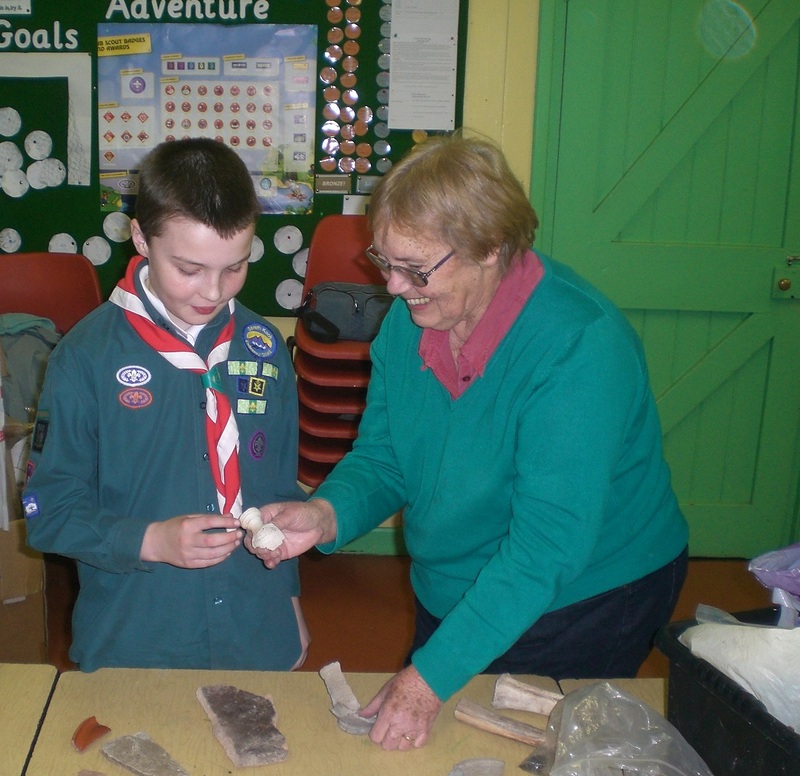 The scouts had lots of questions and many noticed the difference in the feel of the pottery – the rough texture of the Iron Age pottery compared to Roman everyday pots and how it contrasted with the smoothness of the burnished Iron Age pot and Roman Samian ware. 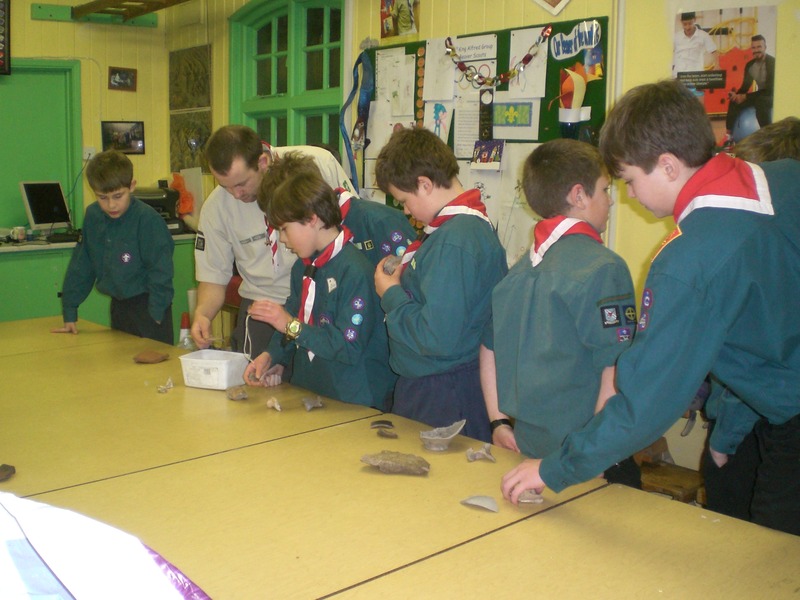 Several of the scouts were particularly intrigued by how a small oil jug had been made with the top in two pieces and trying to work out how the pieces had been joined together. 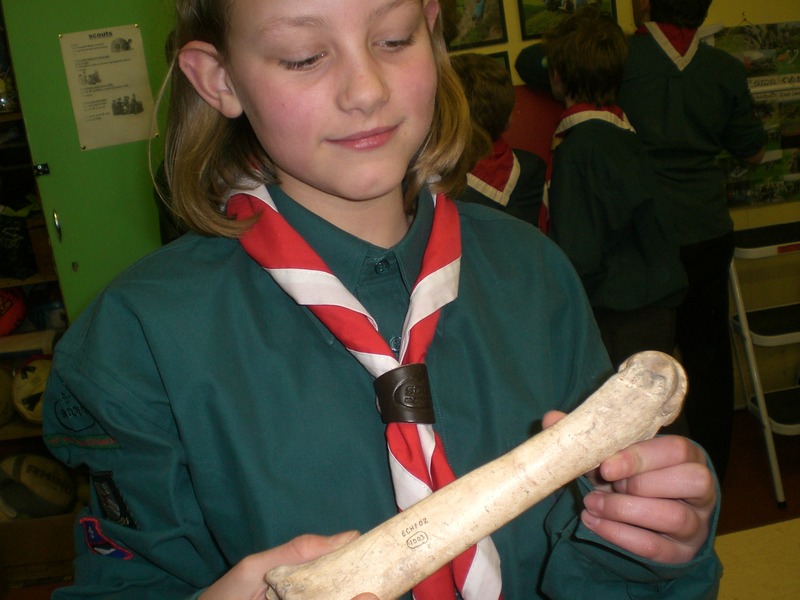 There were also lot of questions about where they could get objects found in their gardens identified. Interest in the bones focused mainly on how the bones fitted together and how the joints worked, and one scout said he would like to see a whole skeleton laid out and learn how to tell how old it is. To finish the evening the scouts made libum, a type of bread or cake made from cheese and honey which in Roman times would have been made as an offering to the household spirits.